It was July 2013 when the world encountered a brilliant, powerful assemblage of words that would come to define a generation. 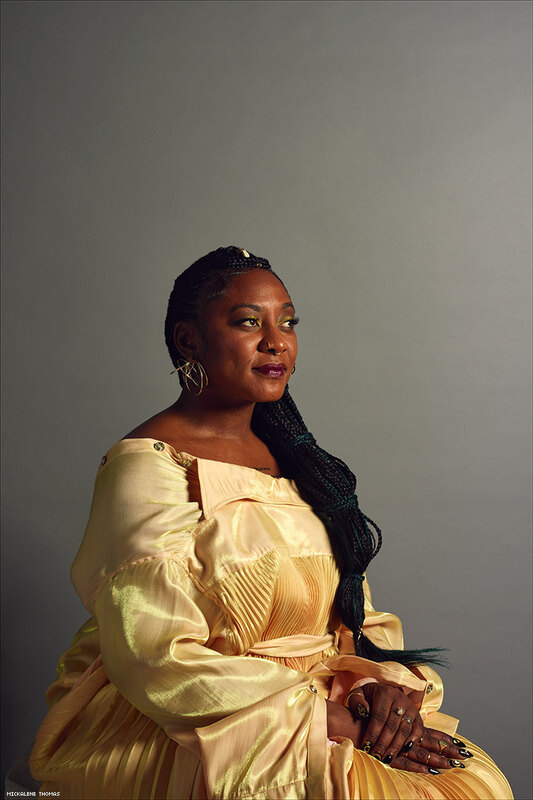 Alicia Garza gifted Black millennials the rallying cry #BlackLivesMatter in the aftermath of George Zimmerman’s acquittal in the murder of 17-year-old Trayvon Martin. She unleashed the power of digital activism to create a movement and revealed to us that a hashtag, a post, an image, and a video shared online could change the course of history. Before joining forces with community organizers Patrisse Cullors-Khan and Opal Tometi, Alicia’s work had already spanned nearly two decades. Drawing inspiration from her childhood growing up in a household with a single mother, the lifelong Californian began her early work with an emphasis on reproductive justice. Since then, she has been able to see how the pieces of seemingly disparate issues like economic justice, students’ rights, and police brutality are all intertwined in the fight against state violence. After serving as executive director of People Organized to Win Employment Rights (POWER) and special projects director for the National Domestic Workers Alliance, Alicia’s work in expanding access to political education and winning local and national campaigns speaks for itself. And throughout her work in different corners within social justice, she has always maintained an allegiance to agility. “If we can just imagine that some of the toughest problems we're facing might require us not to be sledgehammers, but to be like water and move around, through, over, and under, I wonder how that might change our relationships to each other,” she says. Though forever honoring past iterations of liberation work, Alicia has her eyes on building a new political reality for Black communities. During Black History Month in 2018, she launched Black Futures Lab to lessen the engagement gap between advocacy organizations and legislators on the various levels of political power in the United States. Their first major project, the Black Census, sought to gather the needs of 200,000 Black people and take a deeper look at the desires and demands of the community. It wasn’t uncommon to hear Alicia’s calm, knowing voice call my name throughout the streets of Oakland, or as I passed her at one of our favorite bars, Make Westing. With a bourbon-tinged smile and big sister reassurance, she would inquire about my latest efforts and offer support on being the most effective and strategic organizer possible. This is the work that she does behind the scenes: encouraging the next leaders coming up to lean on her as a resource, believe in themselves, and remember that they aren’t carrying the load in isolation. It is undeniable that Alicia continues to set the tone for a more intersectional, nuanced, and empathetic Movement for Black Lives. I am so honored to call her a friend, a comrade, and a fellow believer in the expansiveness and possibilities of Blackness.